Commenting on the occasion Kim Ki Wan- MD LG Electronics India said, “LG SIGNATURE strives to remain true to the essence of each product with a touch of sophistication. By preserving the essence, from idea generation to the end-user experience, LG SIGNATURE offers a state-of-the-art lifestyle for people with the most discerning sensibilities. LG SIGNATURE products will offer an ultimate celebratory experience to the consumers ahead of the festive season. The wide range of products available under the different segments of the series is bound to be highly appreciated by one and all." "Our driving principle is to ensure that the essence of our products is preserved from idea generation through to the end-user experience. LG SIGNATURE is the embodiment of thought where 'Art & Beauty' is exhibited in products to exude 'Sophistication'. LG SIGNATURE products are driven by 'Passion' and address the people who aim for 'Excellence' and 'Perfection' and for whom 'Art & Craft' is a means of 'Self Expression'. 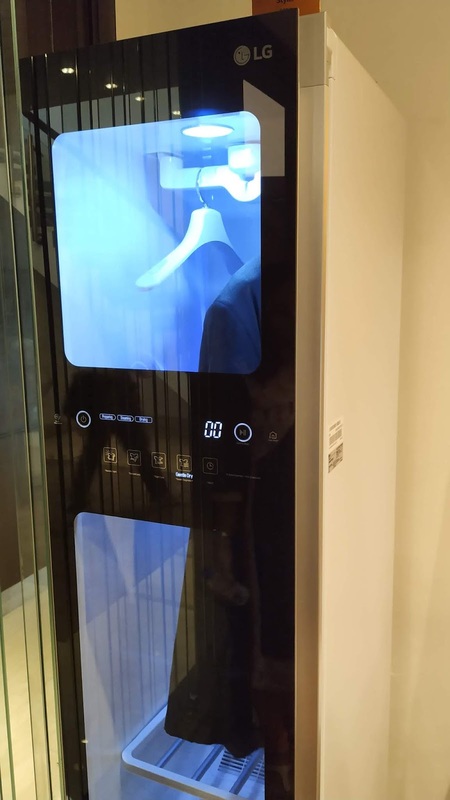 LG SIGNATURE House is new destination for premium seekers and the same is an extension of experiential marketing initiative where we would like consumers to experience products in real time environment. 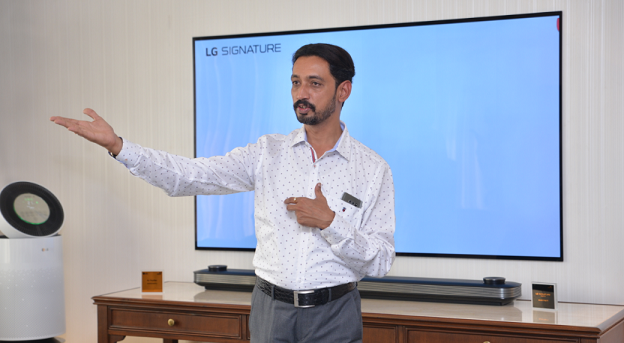 I am confident that consumers who lead an Idyllic, fulfilled lifestyle, those who look beyond just extraordinary, will definitely appreciate LG SIGNATURE Products", said Amit Gujral - Head Corporate Marketing - LG Electronics India. The LG SIGNATURE refrigerator represents the visualization of essence with a fresh take that is both intuitive and evolutionary. As a nod to its innovative spirit, LG has taken its award-winning Door-in-Door™ design one step further by adding a Knock-on Door-in-Door feature that makes the opaque Door-in-Door™ compartment transparent with a simple knock. 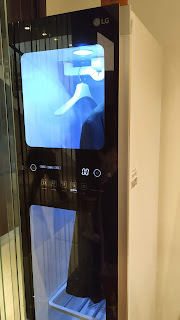 The transparent surface allows customers to peer inside the refrigerator without having to open the door, offering significant energy savings by limiting cold air loss. Even more innovative is the new Auto Door Open feature which automatically opens the door when an individual approaches the refrigerator, allowing for quick and easy access even if your arms are full of groceries.